Hope you are having a happy day. Handy Hubby and I have never been super into Valentine's Day. Before we had kids, we never saw the point of going out for a romantic dinner in overcrowded, overpriced, and understaffed restaurants just for the sake of a day. We often ended up in our local Mexican favorite-of-the-minute (we eat a lot of Mexican food) because those places were always empty on the "fancy nights". 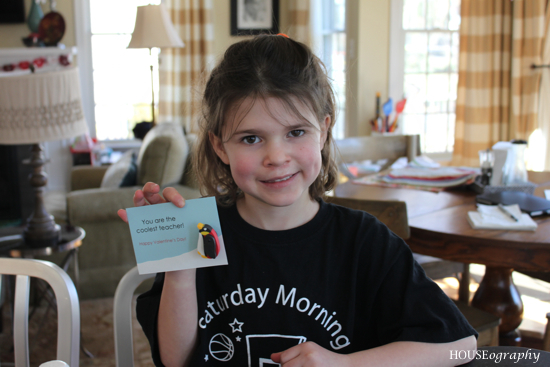 Now that we have kids, we give the kids a little candy (a definite treat for them) and big hugs when they wake up. 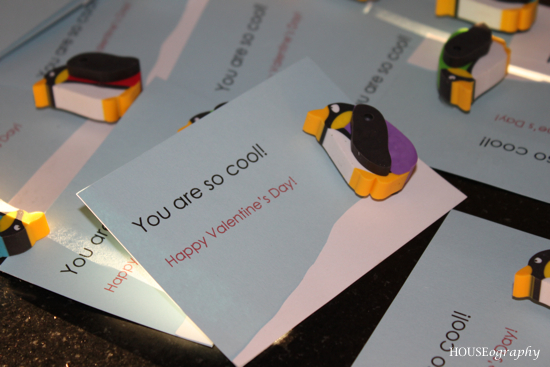 When Elizabeth went to kindergarten last year, we started doing school Valentines. 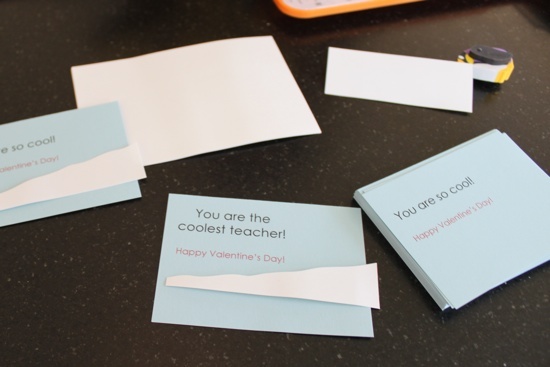 Her preschool was somewhat anti-commercialized so they did not allow kids to bring in Valentines. So, kindergarten became a whole new outlet for my pent-up creativity. Check out last year's here. First I cut some 4.5"x6" cardstock from the scrapbook aisle at Michael's. 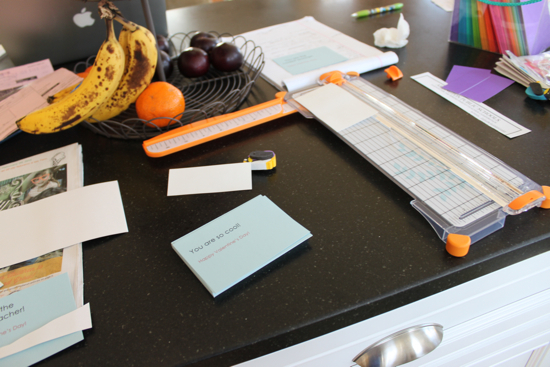 I also invested in this little paper trimmer which is intended for scrapbooking but I think it will come in handy for various craft, invitation, and birthday projects for years to come. It's similar to this one but I bought mine at A.C. Moore with a 40% off coupon. 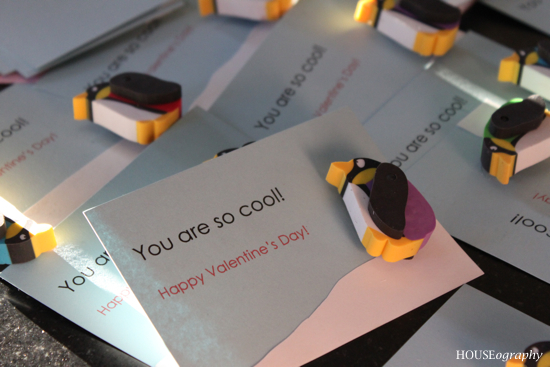 Next, Elizabeth cut some "snow" out of 4x6 cards for the penguins to hang out on. Then she glued the snow onto each card. 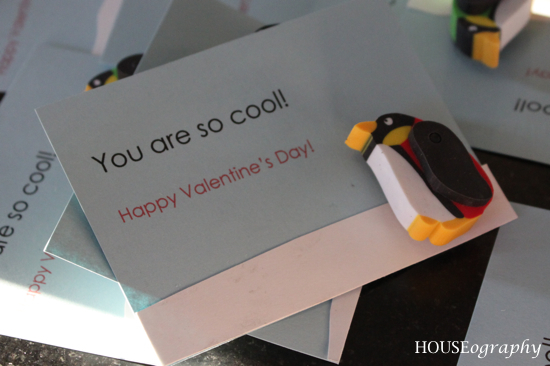 Lastly she attached the penguin to the card with a removable glue dot. (How is it that I never knew about Glue Dots until last year - the BEST!). 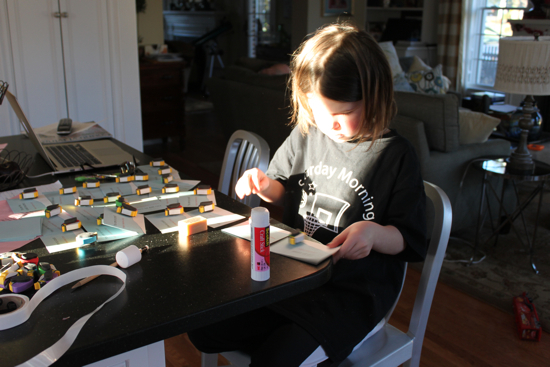 And my sweet and crafty Valentine girl!